150 practical strategies to encourage students to achieve. Topics include Lesson Planning; Independent Learning Activities; Dealing with the Problems of Society and Pop Culture; Student Stress; the Role of the Family and School; the Brain and Learning; and Work, Challenges, Learning from Failure, and Responsibility. 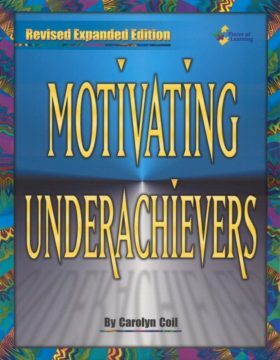 Complements Motivating Underachievers. Authored by Carolyn Coil. Encouraging Achievement is a great resource for teachers. It answers the questions teachers ask about motivating our students, but never get a clear answer to. 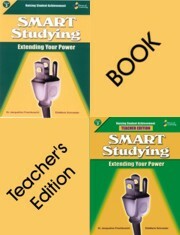 This book is a must for new teachers and as a tool to teach our seasoned teachers about motivating stu-dents. As a TSS (teacher support staff) person at my school, this is definitely a resource I will share with my new teachers. 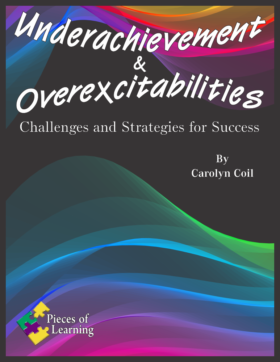 If offers so many practical strategies teachers can use to help underachieving students. The book opens with a list of characteristics that could help teachers identify the students that may need encouragement. Two other chapters that caught my eye are the chapters that discuss the role of the family and dealing with the problems of society and pop culture. My school is 90% socio-economically challenged, so many of our students have low self esteem. 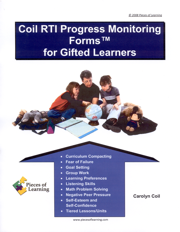 I found many helpful activities throughout the book to help encourage student learning and achievement. We also have a problem with parent participation at our school. This book offers several strategies teachers can use to get parents involved in encouraging their children. 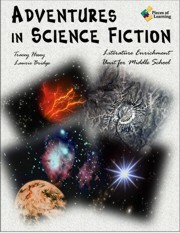 Would I use this book with my gifted students? Yes! Many of my gifted students are often bored with the curriculum set up for them by the “higher ups” which forces me to bring activities into the classroom from other great sources such as this one. I would also love to use this book for a staff development to help other teachers in my building under-stand why children are underachievers and how they can help them. As teachers, part of our jobs is to learn as much as we can about our students so that we can reach them where they are, and then motivate them to achieve. Many students are eager to learn, and my job is to be as creative as possible to make learning interesting and challenging for my students. 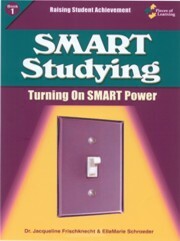 This book provides excellent strategies and activities to help my underachieving students. 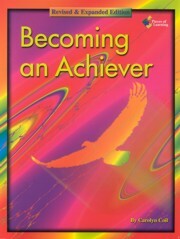 The purpose of this book is to help educators encourage achievement in students. This is encouraged by providing the educator with suggested strategies and ideas that can be imple-mented so that the teacher can encourage achievement. The teacher reflection pages serve as good motivators and a think tank to make one really evaluate what it means to encourage. The book does an excellent job of identifying the traits and characteristics of students who need to be encouraged that would help another individual identify such a child. The review of the brain and how it works is essential in helping one understand why cer-tain strategies work for some and not for others. Her development of the different types of mem-ory and how they can be used is well developed and written in a useful format. I particularly like the reflection pages because they provide an opportunity for the reader to practice some of the ideas and strategies prior to putting them into use in the real world. 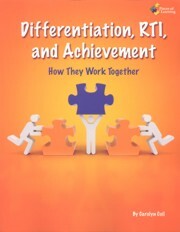 The author develops very clear and well thought out strategies on how the schools can help to become encouragers. The suggested strategies are very valid and introduced at levels that allow all students to be helped. 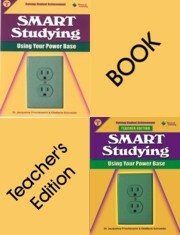 Documents provided for teacher use to guide one through various strategies are well written and easy to use. 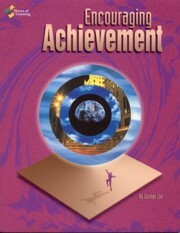 The book is organized so that the factors leading to underachievement are identified first, with strategies to rebuild self-esteem following, and finally strategies to encourage and continue to build confidence and self-esteem in the underachieving student. I would use this book as a daily resource and encourage others to purchase and use it as well. The book is well organized with just enough information and documents to aid the reader/user to implement a plan for encouragement. 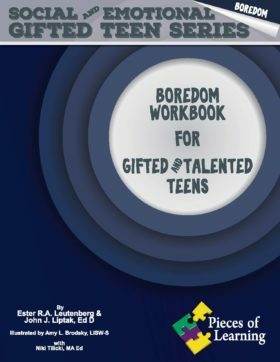 The Boredom Workbook for Gifted and Talented Teens contains five separate modules of activity-based handouts that will help teens learn more about themselves and find ways to prevent and overcome boredom. These modules serve as avenues for self-reflection and group experiences revolving around topics of importance. The activities in this workbook are user-friendly and varied to provide a comprehensive way of analyzing, strengthening, and developing characteristics, skills, and attitudes to inspire motivation.